The festive season introduces a multitude of things-to-do for Melbourne families, a visit to the cinema to catch the latest kid-friendly movie blockbuster being one such activity. On 12 January 2017, the movie Ballerina pirouettes into cinemas, and is a must-see this Summer. Ballerina, is a beautifully animated tale about following your dreams. Félicie is a young orphan from Brittany who dreams of becoming a ballerina at the Paris Opera. With her best friend Victor, who wants to become a great inventor, they devise a madcap plan escape the orphanage for Paris. 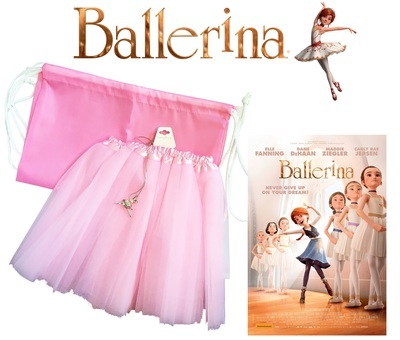 To celebrate the forthcoming movie blockbuster release, we have a Ballerina prize pack to giveaway to FIVE KidTown Melbourne readers. Yes, FIVE packs! A dance bag, tutu and necklace (valued at $110). To enter, simply email us at kidtownmelbourne(@)gmail.com with the title Ballerina, and who you would like to win the prize pack for. The competition will remain open until Monday 12 December, 2016. 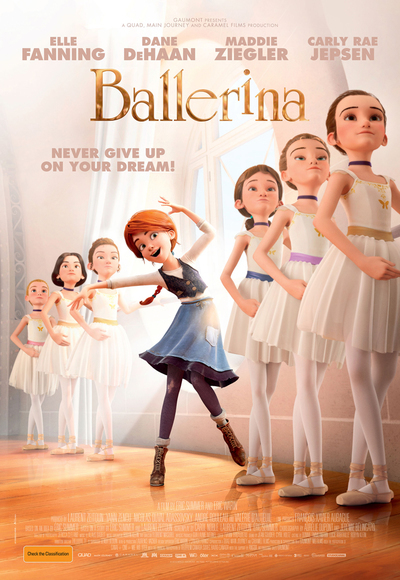 For more Ballerina movie scoop, head to www.ballerinamovie.com.au.